It’s been five months of exciting technical challenges since the last Brevity Podcast, but we’re back! This episode, we finally reveal the fifteen One-Minute Memoirs, and our podcast host Allison K Williams and Audio Editor Kathryn Rose discuss why we chose them (from over 300 submissions! ), the process of reading and listening to all the submitted essays, and key things writers can do to make their work stand out from the rest of the submissions pile. Stream the show right from this post, or click over to iTunes, Soundcloud or Stitcher. If you’re subscribed, we’ll show up in your podcast app queue. And wherever you listen or download us, please take a moment to leave a brief review–it helps us show up in searches and recommendations. Anne Boaden earned her MFA in Creative Writing at Goddard College and is writing a memoir of her active duty with the United States Marine Corps flying AH-1W Cobra attack helicopters. Her work has appeared in The Pitkin Review and NELLE. She lives in England with her husband, two cats, one dog, flock of chickens, and brand-new baby Robin Anne Delgaard Boaden. Tracy Royce is a poet, writer, and doctoral candidate in the Department of Sociology at the University of California, Santa Barbara. Her work has appeared in The Fat Studies Reader, Modern Haiku, Frogpond, Affilia, and Mother of Invention: How Our Mothers Influenced Us as Feminist Academics and Activists. Anne McGrath’s work has appeared in Antioch University’s Lunch Ticket, The Brevity Blog, Chapman University’s Dirt Cakes, The Caterpillar Magazine, and the One Hundred Voices anthology. Ms. McGrath is an assistant contest editor at Narrative Magazine and is pursuing an MFA in creative writing at Vermont College of Fine Arts. Irvin Weathersby is a Brooklyn-based writer and professor from New Orleans. His work has appeared in literary journals and magazines including Notable Black American Men Book II, Killens Review, The Atlantic, Ebony, and Esquire. Patrice Gopo is a 2017-2018 North Carolina Arts Council Literature Fellow. All the Colors We Will See, her essay collection about race, immigration, and belonging is now out from Thomas Nelson, and has been named a Fall 2018 Barnes & Noble Discover Great New Writers selection. MFC Feeley attended UC Berkeley and NYU. She has published in The Tishman Review, Mainstreet Rag, WicWas, Plate In The Mirror, and Ghost Parachute, and was a 2016 fellow at the Martha’s Vineyard Institute of Creative Writing and a 2013 Amazon Breakthrough Novel Award Quarterfinalist. She won the Raven Prize for CNF and is writing a series of short stories inspired by the Bill of Rights for Ghost Parachute. Jamie Zvirzdin teaches in the Master of Arts Science Writing program at Johns Hopkins University. Her work has previously appeared in The Kenyon Review, Issues in Science and Technology, Creative Nonfiction, and CONSEQUENCE. Evie Gold is a non-fiction humor essayist, a sushi connoisseur, and a wandering nomad. BK Marcus is a homeschooling dad in Charlottesville, Virginia, where he also performs and coaches live storytelling. Erin Murphy‘s work has appeared or is forthcoming in journals including The Georgia Review, Memoir Magazine, The Normal School, Field, Southern Humanities Review and North American Review. She is the editor of Creating Nonfiction: Twenty Essays and Interviews with the Writers, and is Professor of English and Creative Writing at Penn State Altoona. Georgie Hunt’s writing has appeared in Prick of the Spindle, NANO Fiction, River Teeth’s “Beautiful Things” and Brevity. She was a finalist in Black Warrior Review’s 11th Annual Nonfiction Contest, and holds an MFA in creative nonfiction from the University of North Carolina, Wilmington. Karen Egee writes to savor the good and try to make sense of the rest. She lives in Massachusetts with her husband and dog. They spend as much time in Maine as possible. Rhonda Zimlich’s fiction and memoir has appeared in publications such as Crow Pie, Acorn Review, and Ink Stains. She enjoys living in the Pacific Northwest with her husband, twin daughters, and feisty black cats. She received her MFA in writing from Vermont College of Fine Arts this summer. Scott F. Parker’s book A Way Home from Oregon: Essays has just been released from Kelson Books. Jennifer Lang writes mostly about her divided self. Her essays have appeared in Under the Sun, Assay, Ascent, The Coachella Review, Hippocampus Magazine, and Full Grown People. She’s been nominated for Best American Essays and the Pushcart Prize, and is writing her first memoir. Additional voices: Hananah Zaheer (Dubai), Iobel Andemicael (Dubai) and Brian Pastor (Chicago). Additional music by Sergey Cheremisinov via freemusicarchive.org, and sound effects from freesound.org. Call to prayer from Learn Truth Find Peace. Next episode, we’ll be talking about Writing Hard Things. Allison K Williams is Brevity‘s Social Media Editor and hosts the Brevity Podcast. She’s writing this in Paris, yesterday she was in Tunisia, New York the day before, and tonight she’s back home in Dubai…hence our erratic podcast schedule. 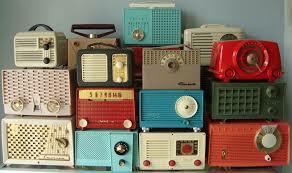 On Tuesday, I wrote about the process of pitching radio stories. What happens next? Much of that depends on who accepts your pitch (or whether your name comes out of the hat at The Moth). Here’s what some of those processes looked like for me. The Moth StorySLAM is one of the most accessible ways to practice radio storytelling and potentially end up in a bigger show or on the air. Moth stories are told live without notes, and (loosely) on a particular theme, announced ahead of time. Just show up at a local storySLAM and add your name to the list. Ten storytellers are picked from a hat, and each one has five minutes to tell a true, first-person story. Audience teams score the storytellers (don’t worry, everyone is enthusiastically supported by the whole audience); the winner moves on to the invitation-only Grand Slam. Grand Slams are in bigger venues, and every storyteller has won a local slam. You’re on your own for the local slams, but it helps to practice your story over and over, especially the ending. A clean, powerful ending compensates for a multitude of rambling sins! It’s also important to be inside the time limit, because laughter and mid-story applause add time. Shoot for four minutes–that also gives you time to pause for moments of emotion or laughter. For the Grand Slams, one of the Moth’s producers in New York will work with you via phone or Skype. For example, I pitched “filling the bird feeder for my grandmother right before she died,” “scattering my own dad’s ashes at a major political funeral in India,” or “being a terrible prostitute” (believe it or not, they’re all funny). Producer Jenifer Hixon helped me find the most powerful thread, and listened to me over three phone calls while I figured out how to start the story, get to the good parts quickly, and end clean. The Moth records all stories told at local and Grand Slams, and some are selected to be on the radio–not always the winning ones, so you have a chance no matter how you score. I also tape myself by setting my phone in an inconspicuous place, so I can listen after and hear how the story went and pick up audience reactions I didn’t notice through my own nervousness. Tape also helps me shape the story into a written essay, and I’ll submit that version to print venues. The Canadian Broadcasting Corporation has some great story-driven podcasts. Definitely Not The Opera ran for 22 years; Love Me was an eight-episode season. I signed up for the DNTO “pitch list” at their website. Each week, an email went out with the next episode’s topic, and I submitted probably 35-40 pitches over two years and got picked up three times. 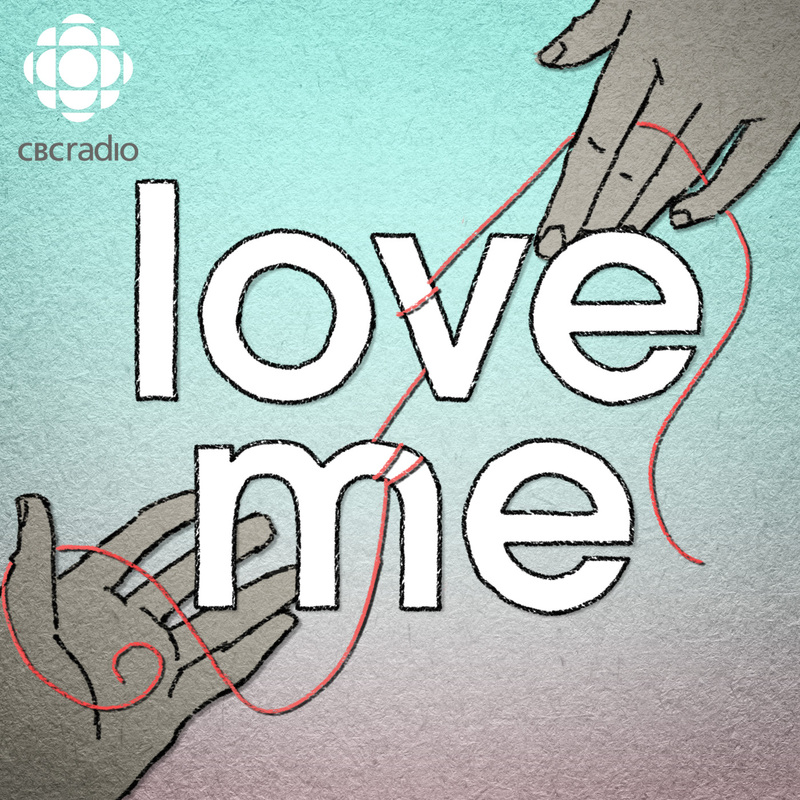 Love Me sent one story call for their season, to people from the DNTO list among others, and I pitched three stories to them and sold one. For CBC shows, a Canadian setting or connection helps (I’m Canadian) but isn’t mandatory if you’ve got a great story. Major-network podcasts often rent time at a recording studio or local public radio station near the storyteller. I taped in studios in South Africa and Florida before buying a good-quality microphone for my computer. Now I’m able to tape in any quiet location, as well as doing “tape sync”–recording another storyteller locally, while the network interviewer talks to them on Skype. My biggest challenge was not sounding “rehearsed.” Performing live at the Moth, practicing and tightening my story had been an advantage, but both DNTO and Love Me needed a more conversational sound. In each case, I ended up telling my story once, then being interviewed by the producer. S/he asked questions and I responded with chunks of the story told off-the-cuff; then the producer edited the takes together to get the sound and style the program needed. For this type of show, it’s truly OK to have your pitch and a sense of the story rather than planning every moment out. One of my bucket-list venues, I got on the pitch list for Snap Judgment by sending an email. They also accept many pitches through the submission form on their website. My first try wasn’t so good–I got a call from a Snap producer in response to a pitch, she asked me to think more about transformation/change in the story, and I dropped the ball by not calling her back in time (life events happened). 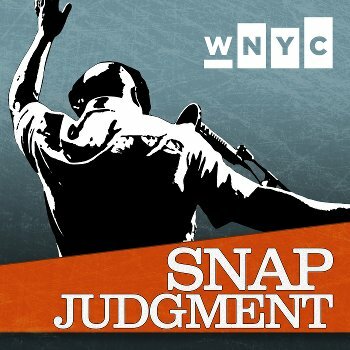 But last week I got an email, “Hey, I heard you on Snap Judgment!” My first thought was there’d been some mistake, maybe it was the actor from Girls, but no–Snap Judgment picked up a story I’d told on Love Me. Surprise! Another credit without doing anything! My hope now is that since their producers have heard me tell a story, perhaps they’ll accept a future pitch. How does this work for you, Brevity reader and first-time radio storyteller? Go to a story slam (Moth or any other brand) near you. Listen to what the audience loves. Listen to what you love. Think about how you’d take your powerful personal story and deliver it to an adoring audience. Practice pitching. It’s OK if it takes fifty–or more–pitches before a producer bites. Keep focusing on how your material fits specific shows, and tailor your pitches to suit their style. There’s no blacklist of “uurgghh why does this person keep emailing us…” so keep trying. If one show doesn’t bite, reframe your story so it feels right for someone else and pitch again. You don’t need to own any recording equipment to get started. It’s been convenient for me to have a digital recorder and a mic, but if they want your story, they will figure out how to tape you. That’s their job. I went to Oman last week to tape-sync and the producer set it all up–all the storyteller had to do was lock his cats out of the room. If you do enough radio to start needing equipment, Transom has great product reviews and recommendations. Even if you never sell a radio pitch, the process of thinking about your personal experiences from different angles can help you transform that material into essays. And doing radio is fun! Writing is so often a solitary pursuit, it’s a joy to talk with a producer, hear immediate feedback, and collaborate on the shape of a story. Allison K Williams is Brevity’s Social Media Editor and the host of the upcoming Brevity Podcast. 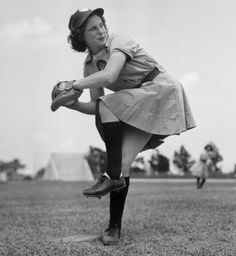 Star pitcher of the Brevity baseball team. Next week we play Tin House. Right now, podcasts are a thing. Podcasts about accused murderers, about science, about old Hollywood. And many, many podcasts about personal stories. Ever listen to This American Life or The Moth and thought, I have a story that would be great for that show? So what’s the process? How does the story get from your head (or the essay you already wrote) to the airwaves? First, listen to the show(s) you want to be on. Different programs have very different styles and subject matter, and the story that’s perfect for Risk! is going to be terrible for Radio Ambulante. If a program is broadcast on the radio rather than solely on the internet, they have FCC restrictions on language and content. Some shows have a presentation component, where the first step is showing up at a live show and sharing your story in front of an audience (eek!). …each of these stories is a story in the most traditional sense: there are characters in some situation, and a conflict. These pitchers are clear about who the characters are and what the conflict is. Also: each of these stories raises some bigger question or issue, some universal thing to think about. That’s also pretty important, and you stand a better chance at getting on the air if you let us know what that is too. Pitching a story about a generic idea — a group of people losing money on their subprime mortgages, say — isn’t nearly as effective as finding one or two people experiencing that issue who can illustrate the broader idea. …If there’s any reason why the story needs to be aired soon, mention that. This is called a news peg. …Don’t worry about chasing press releases and embargoed about-to-be published studies. It’s likely that staff journalists will cover these. I like to look for stories that aren’t yet on the news radar. In fact, most of my story ideas emerge out of casual conversations. If you’re feeling like a total beginner (which is a great place to start) Youth Radio breaks it down for teens, and it sure helped me navigate at the beginning. That page has a great interview with Radiolab’s Robert Krulwich, too. Snap Judgment even has a handy flowchart to see if you have a story (scroll down on the linked page). As an exercise, I listened to podcasts I wanted to be on and wrote pitches for the stories I heard on the air. This helped me identify characters, conflict, bigger issue, and see how stories were structured for particular shows. I downloaded archived sessions from the Third Coast International Audio Festival. Each year their conference includes Getting to Yes: The Art of the Pitch, and listening to people pitch their ideas to radio producers, and the producers picking them apart (kindly) helped me understand what does and doesn’t make a story. After you’ve listened to two or three sessions, you’ll start saying, “No! That’s not a story! But if you came at it from this angle…” before the pitcher even finishes their spiel. Another great resource on story structure is This American Life’s Radio: An Illustrated Guide. It’s a $2 PDF download, and it’s so useful an approach to “what makes a story,” I think you should get it even if you never want to be on the radio. On Thursday, I’ll be back here on the Brevity blog to talk about the process of actually presenting and/or taping. Meanwhile, check out some pitch guidelines, and see if one of these shows is the right match for your story. Allison K Williams is Brevity’s Social Media Editor, and has appeared on The Moth GrandSLAM, Snap Judgment, and CBC’s Love Me and Definitely Not the Opera, among others. She’ll be hosting the upcoming Brevity podcast. Artist, Photographer, Engineer, but Maybe not a Writer? This is a quote that I use to describe myself on all of my social media profiles, and back in my single days, my dating profile. These are things that I am. One thing I am not and have never claimed to be: a writer. Somehow, this non-writer’s first class in her Critical and Creative Thinking Masters program is Creative Nonfiction and one of my last assignments of the semester is to write about writing. So here I am. Writing about writing. But, in all these things that I actually am, I am a storyteller. As a photographer I can tell a story through an image. I can use perspective, color, light and focus to lead the audience down a narrative path to my visual conclusion. As an artist, I can create designs that convey a story through two-dimensional lines and colors. As a musician, the notes from my guitar tell a story through the ebb and flow of the melodies. And even as an engineer, I craft my story through my technical ideas, using the binary narrative of 0’s and 1’s to provide my customers with a solution to their technical problems. But, I am definitely not a writer. I have never attended a writing workshop. I don’t spend hours hovering over a shiny silver laptop in a trendy coffee shop. I don’t even own a leather bound notebook. I do not “network” with other “writers.” I do not keep a journal. I don’t own a vintage typewriter. And come to think of it I don’t think I have ever used a typewriter. I’m not even an alcoholic, although I do enjoy a good dry dirty martini and a nice glass of wine. So, what is my word count? 312? Why am I here? And am I done yet? When I do write, I do what most writers describe… I pour my thoughts and feelings onto the page. I let it flow. But, then I refine, refine and refine; every word, every phrase and every sentence. I read and revise again. I solicit feedback and revise even more. I pull from my archive of the lessons I have learned through my music, my art, my photography and my professional career to ensure that these words display the imagery, paint the picture, sing the melody and create the design that leads my readers on my narrative journey. I obsess over every word and every minor detail. I over analyze. And then I over analyze my analysis. I question every word on the page, until I feel that warm sensation in my chest of satisfaction and exhaustion. It is my body, mind and soul letting me know that I have done all that I can to pen my narrative… as good, bad or ugly the final product may be. And I enjoy every step of the arduous reiterative process. So, I may never be cool enough to be a writer. But, hopefully, one day you can call me a storyteller. Christa McHugh (@christaphoto) is a photographer, artist, musician, engineer… and goofy kid at heart. She has received her MFA in Media Design Management from the International Academy of Design Technology in Tampa. She is currently pursuing her Masters in Critical and Creative Thinking at the University of Nebraska Omaha. Short nonfiction storytelling–often photo-driven, largely consumed on social media and at events staged in bars–is enjoying a vogue. Which personally, I like. The Moth is one of my favorite venues, I enjoy Jeff Sharlet’s micro-essays on Instagram and post my own. But as a “storyteller,” am I ducking my responsibility to the people who figure in my work? Am I appropriating their stories? Is mine the best point of view to deliver their experience? 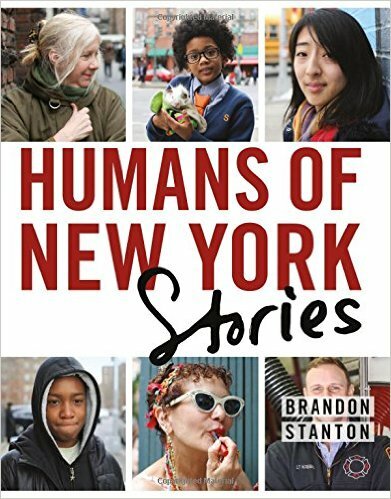 In The New Yorker, Vinson Cunningham reviews Humans of New York–first a series of Facebook posts, now a book. Author/photographer Brandon Stanton has compiled his work and published with St. Martins, even as he moves into new Humans territory in Iran, India and Pakistan. The quick and cavalier consumption of others has something to do with Facebook, Humans of New York’s native and most comfortable medium. The humans in Stanton’s photos—just like the most photogenic and happy-seeming and apparently knowable humans in your timeline—are well and softly lit, almost laminated; the city recedes behind them in a still-recognizable blur. We understand each entry as something snatched from right here, from someplace culturally adjacent, if not identical, to the watcher’s world; there’s a sense (and, given Stanton’s apparent tirelessness, a corresponding reality) that this could just as easily be you, today, beaming out from the open windowpane of someone else’s news feed. Any ambiguity or intrigue to be found in a HONY photo is chased out into the open, and, ultimately, annihilated by Stanton’s captions, and by the satisfaction that he seems to want his followers to feel. But maybe it’s OK to want the reader/viewer to feel kinship, immediacy, identification. Maybe satisfying stories have their own charm. Our editor here at Brevity, Dinty W. Moore, advocates that a piece is by definition not ‘nonfiction’ if you make stuff up, change the timeline, or condense characters. I’d add that it’s very possible, through selective leaving-out and keeping-in, to form a messy, chaotic, even improbable story into a tight bundle of nuance, character growth, temporal journey, and yes, satisfaction. Check out Cunningham’s review and tell us what you think. Allison Williams is Brevity‘s Social Media Editor. You are currently browsing entries tagged with storytelling at BREVITY's Nonfiction Blog.